Washed and graded iron ore. Photo by Peter Craven, Wikimedia Commons. China opens trade in Dalian iron ore futures to foreign investors from Friday, aiming to boost its pricing clout for one of its top imports and hoping traders will take a market notorious for retail speculators more seriously. Iron ore is the second commodity China is opening to outside investors after launching crude oil futures in late March. Unlike crude oil, though, the iron ore contract on the Dalian Commodity Exchange (DCE) – launched in 2013 – has a deep pool of liquidity and major Western traders have already had access through local Chinese entities. "DCE will always be a leading indicator. It has been and will always be (because of) the sheer volume of it," said Kelly Teoh, an iron ore derivatives broker at Clarkson Asia Pte Ltd.
Cargill said it has been trading DCE's iron ore futures since the contract launch, using it as a price reference to manage its own inventory risk. 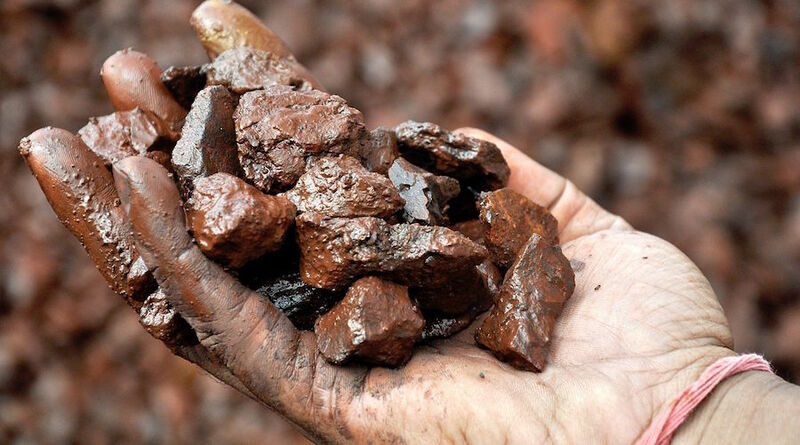 "The internationalization of the DCE iron ore contracts will give greater access to the global commodity community to trade in the world's biggest onshore ferrous market," Lee Kirk, managing director at Cargill Metals, said in an email. More global players on the DCE should lead to "more efficient pricing and increased liquidity," he said. Twenty-one foreign trading agencies have so far registered at the DCE, according to the China Securities Journal, the official publication of China's top securities regulator, although the DCE has declined to name the agencies. It "will make it easier for foreign participants to take advantage of price movements across both exchanges," he said. Fortescue's new CEO, Elizabeth Gaines, who took over in February, said "it remains to be seen what impact (the internationalisation) will have on speculative trading and volatility in the market." "We … support pricing mechanisms which accurately reflect supply and demand for iron ore and provide certainty for the industry," Gaines said in an email. Miners such as Vale, Rio Tinto , BHP Billiton and Fortescue typically don't hedge or fix prices for future sales because that means their earnings can be lower if prices increase. "We will have to wait and see how this develops as there has been limited use so far by the miners to hedge on SGX," said Jamie Pearce, head of commodity derivatives at SSY Futures. But even if miners don't join the fray, DCE's internationalisation is expected to boost its image as a venue for price discovery, participants say. "I expect China's iron ore futures market will be more mature and rational when more foreign investors enter the Chinese market," said Jacky Wang, chairman of Shanghai LC Assets Management Co Ltd. Reporting by Manolo Serapio Jr. in MANILA and Muyu Xu in BEIJING; Writing by Manolo Serapio Jr.; Editing by Tom Hogue.